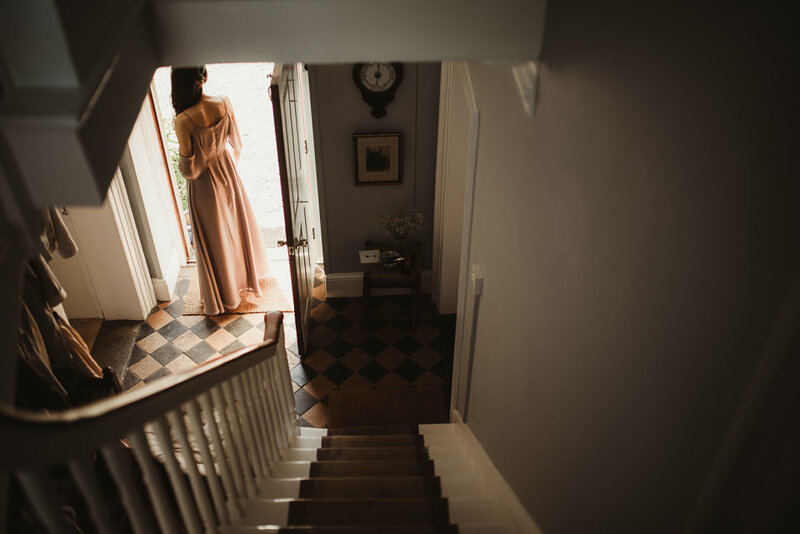 We love to see an #A12BRIDE vision come to life and Roisin certainly didn’t disappoint! 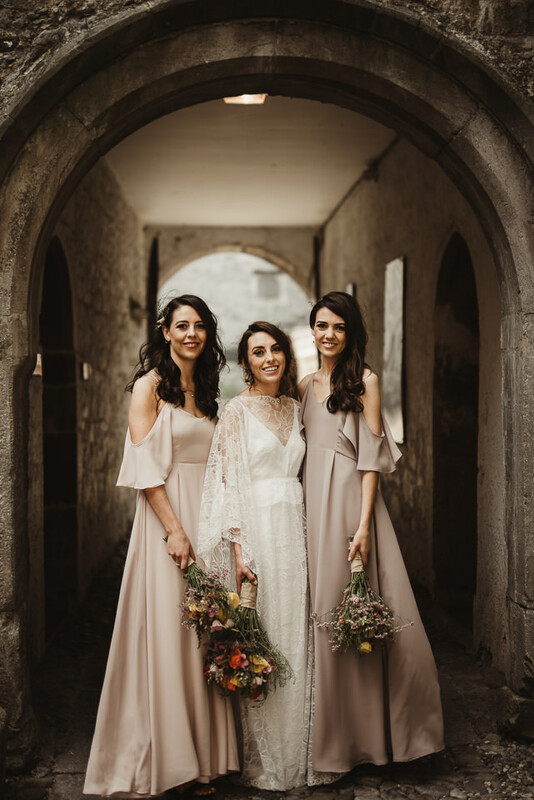 We can’t get enough of these gorgeous images by Tomasz Kornas, who captured the laid back vibe so perfectly while showing Roisin and her best girls looking absolutely killer in their dresses - the ‘Vesper’ by cool Canadian designer And For Love and the ‘Mykonos’ dress by Rewritten. 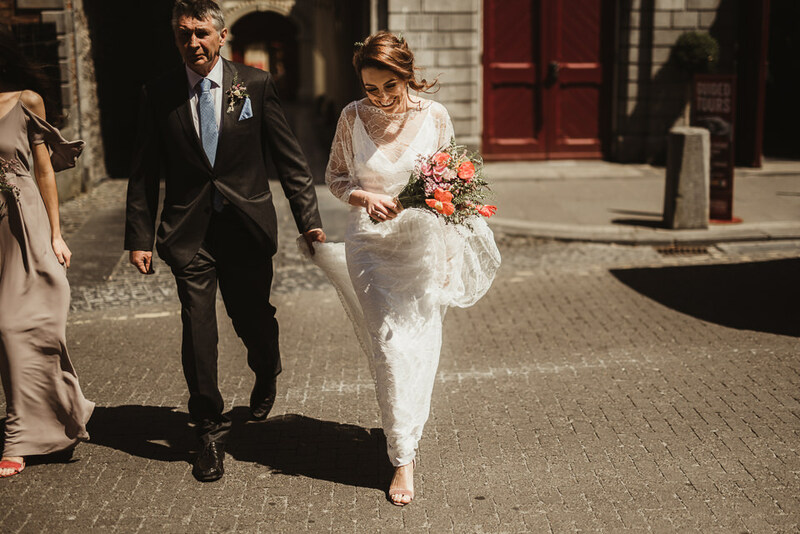 Roisin had a stunner of a city wedding in Kilkenny, her dress was perfect for moving between venues and we love how happy, comfortable and confident she looks in her boho dream gown. 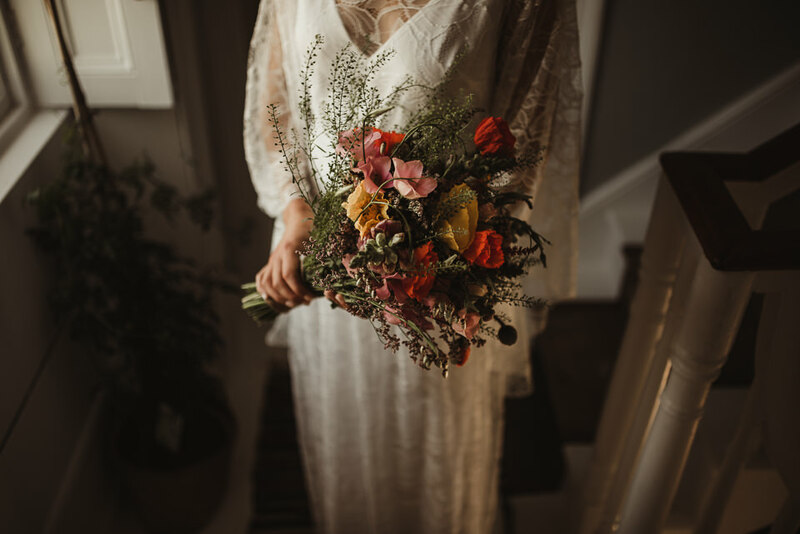 Check out those flowers too, perfect against the lace of Roisin’s dress and the pops of colour look amazing against the muted tones of the girls Rewritten dresses. 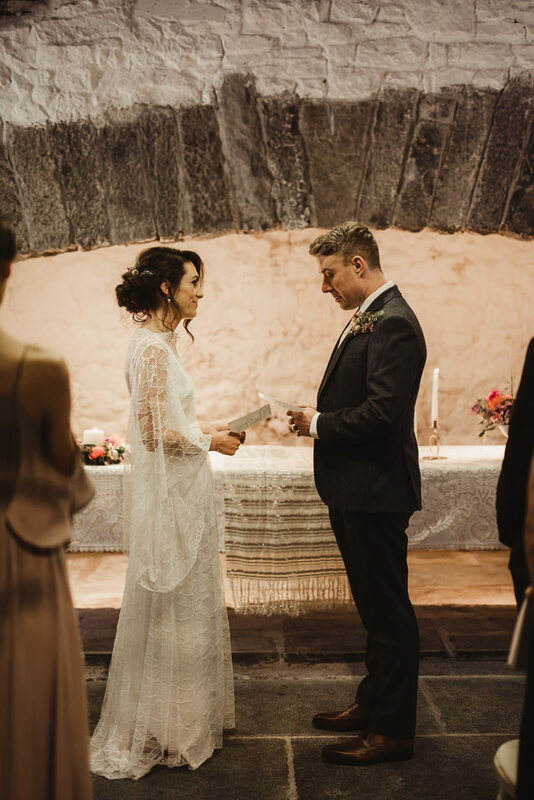 Huge congrats to Roisin and Brian, thanks for being a knockout of an #A12BRIDE!